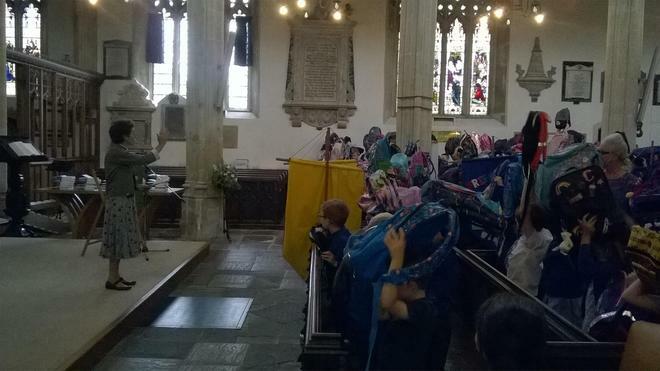 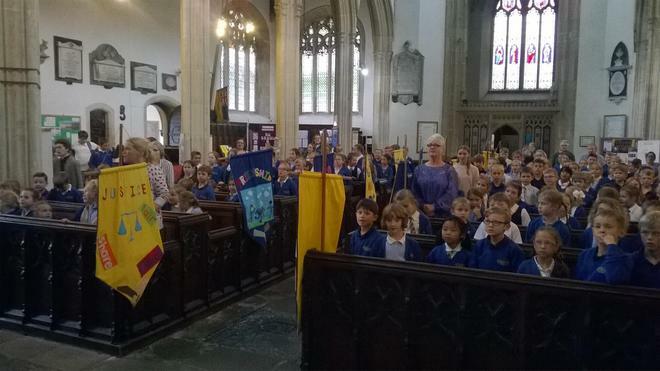 On the first day of every year we have a 'back Pack Blessing' service in the church. 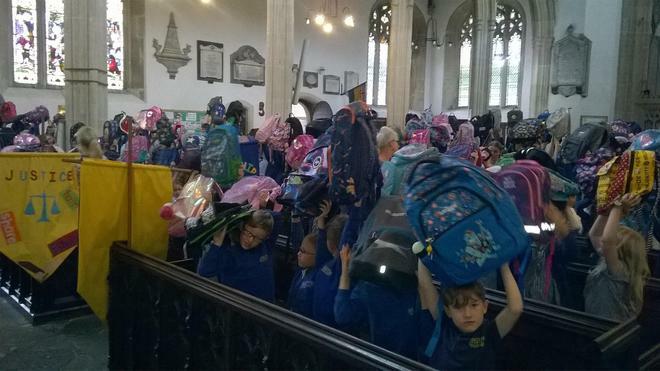 Revd Jan blesses the back packs of every child and looks forward to the year ahead. 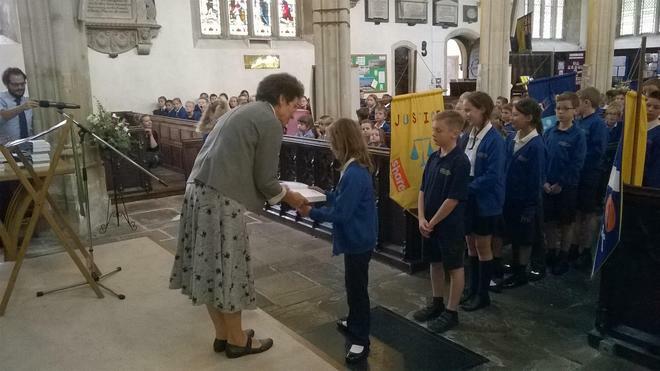 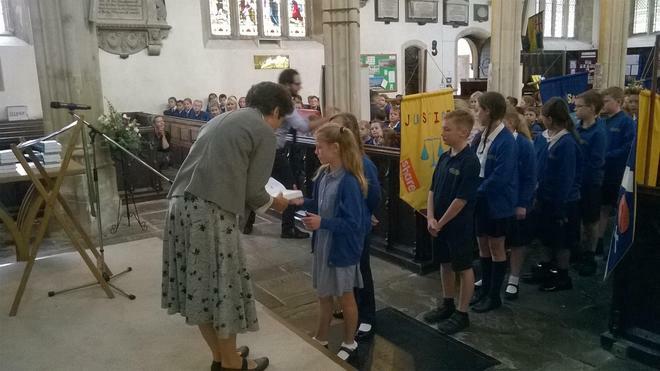 The year 6 pupils are also presented with their school bibles.